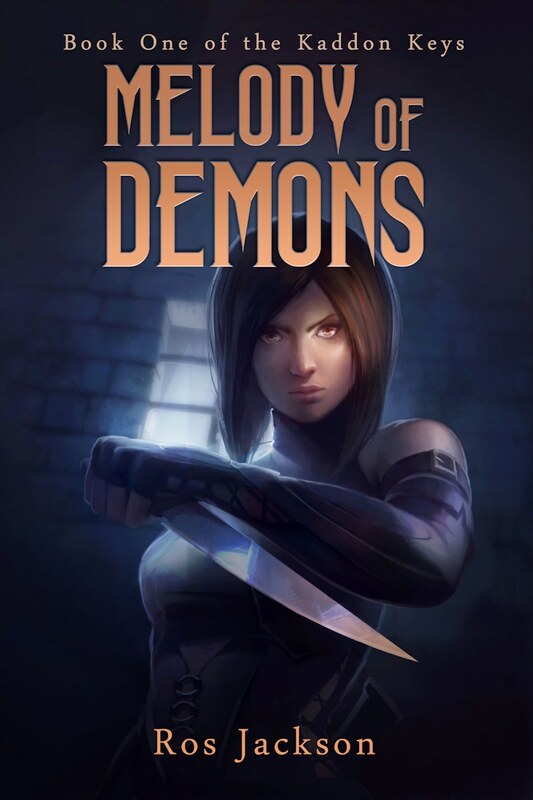 Melody Of Demons is the first book in the Kaddon Keys series, an epic fantasy trilogy full of rogues, monsters, and sparkly unicorns sword fighting. This isn't one of my YA books. Click on the image to the right for a higher-resolution version of the cover. Janette Ramos is the artist. You can check out more of her work here. In her home village, Aivee is worse than nobody. 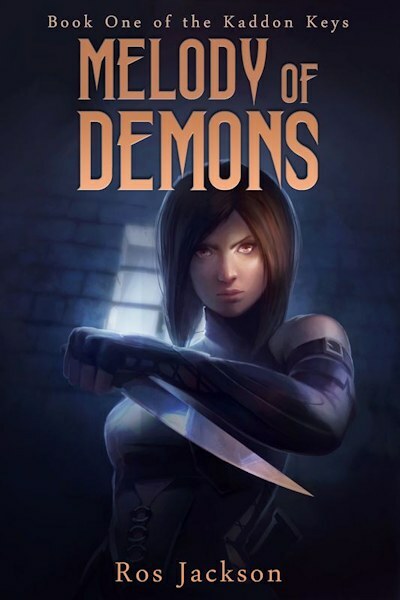 If her secret identity as a half-demon leaks out, she's dead. But in the capital city she will reinvent herself as a dancer. She'll be wealthy, and adored by thousands. Nobody will be able to hurt her. Nori knows how cruel the city can be. She's lost her mother to its plagues, and lately her younger sister has joined the ranks of its disappeared. But she's not giving up. The ruling classes think they can treat people worse than beasts and strip them of their human rights. Powerful factions want to keep the epidemic of missing people a secret. Well, they can eat her blades. Nori joins a group of vigilantes fighting for answers, and voices in her head urge her to recruit Aivee to the cause. These vigilantes are bumbling amateurs, as likely to get themselves killed as to save anyone. But Nori is changing, going mad, lusting for battle and remembering centuries-old conflicts. She will whip them into shape, or die trying. Bloodthirsty gangs, inhuman mages, and dragon gods have it in for the people of Kaddon city. Yes, Nori is mad. But she's not nearly even.